The rise of artificial intelligence (AI) and an emerging millennial workforce is challenging the training practices of enterprises worldwide. While most headlines are focused on robots taking over the world and becoming our new shadowy overlords, the more practical approach is that AI and advanced technologies are already gaining traction within companies. From automating HR tasks to chat software for marketing teams, AI and automation are quickly becoming part of a digital-forward organization’s technology stack. Millennials are now the largest population of workers on the planet. The demands and expectations this group of knowledge workers put on their companies is no secret. The need for mentorship, establishing strong managerial relationships and a continued focus on engagement makes this group high-maintenance, but with good reason. The more skills millennials in the workplace learn, the easier it is to retain them. Learning to use AI is one way to support talent retention, as today’s millennials are already used to advanced technologies, mobility and accessing information and services on-demand. Companies struggle to keep up with the demands of today’s technologies, much less emerging areas like data science, AI and machine learning. 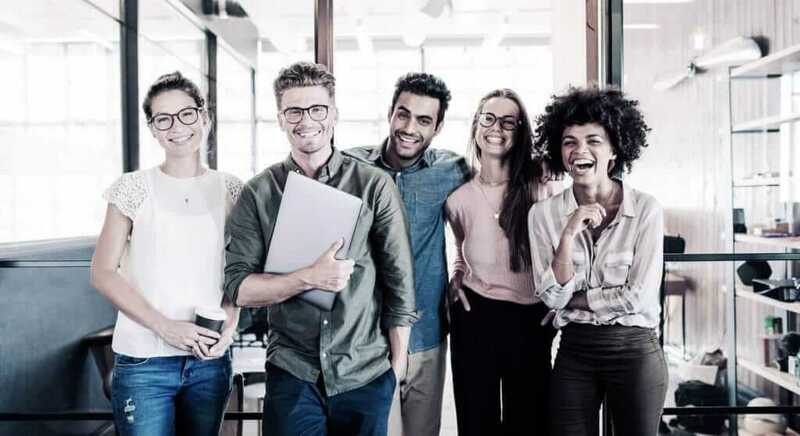 As you look to grow and retain the millennial workforce demographic, here are three ways your training team can best prepare them for their jobs, while balancing the forthcoming technological disruption. Millennials have already disrupted the workforce much like AI and other emerging technologies. As a growing number of SaaS solutions become more advanced and rely on machine learning algorithms to drive decision making, employees must learn quickly how to use these tools. Training organizations must get ahead of the technology curve to support user adoption and avoid SaaS churn. They also have to ensure that they are building a strong culture of learning and development, as millennials are more apt to stay at companies that offer a nurturing environment. Companies can help build or enhance their learning cultures by providing access to new and engaging technologies, focusing on continuous learning and growth, and making training part of the leadership function. Whether it’s gamification or Augmented Reality (AR), these approaches help breathe new life into any technology or organizational training program and will definitely appeal to your millennial workforce. AR can help bridge the skills and training gap, and again, is a technology that younger generations are familiar with and use on a daily basis (see, Pokémon Go). AR can augment any training program, as millennials are well versed in pointing their device at an object and having treasure troves of information about it appear on-demand, teaching them and providing detailed insights into the subject being viewed. Gamification is becoming a great motivator to increase levels of engagement. When tasks are gamified, a goal is introduced, which encourages users with a sense of achievement and moves them toward a specific behavioral outcome. Humans are naturally more driven when there is a clear goal to accomplish. For example, online publications motivate readers to leave comments on articles and interact with the messages, letting users reach higher levels of recognition based on how frequently they engage in these conversations. Organizations motivate the social sharing of company news by employees through incentivizing – the employee that shares the most company news receives public acknowledgement and even a prize. According to Spiceworks, both cybersecurity and AI skills will dominate IT hires in 2019. One of the best ways to retain millennials and ensure they feel valued is to give them access to the best possible technologies available. Millennials don’t have either the time or interest to train on legacy or outdated technology that’s not highly mobile, easy to use or capable of providing instant gratification. The use of AI is a great way to automate mundane tasks and give your employees the opportunities to expand their horizons and learn new emerging technologies. Plus, there’s a certain amount of pride and prestige associated with training on new technologies that are regarded as the future. Make no mistake, millennials bring with them high expectations and demands on your overall culture and company user experience. Empowering them with training will only strengthen their skills and their connection to your company. By having a vision upfront of how you will train and retain these workers, you will set yourself on a path of future success. After all, who else is going to help you when the robot overlords come to destroy us all? For more information on how to create and implement a virtual IT labs or advanced training environment for future skills development, please schedule a demo today.